Business Acceleration Bootcamp | Deborah Reynolds | About Face Image Consulting, Inc.
Business Acceleration 3 Day Bootcamp – Live! 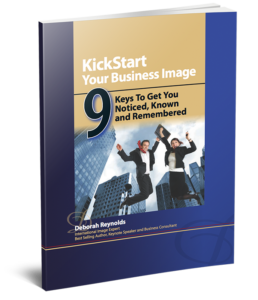 You will discover key strategies to Accelerate Your Business. Join Deborah for this 3 Day Bootcamp designed for the small business owner. You will be picking up invaluable business building and management tips. A must attend program for those who need the EDGE! This 3 Day Bootcamp is jam-packed full of information to help you build specific strategies for your own business. You will walk away with an Action Plan ready to implement. We promise if you implement our ideas your business results and profits WILL accelerate. GUARANTEED! 85% of businesses fail in the first year. Deborah Reynolds has run her business for over 18 years, providing consultation to hundreds of entrepreneurs and businesses, including SAFEWAY, BC Hothouse Foods, Irly Distributors Ltd., The Pepsi Bottling Group, and Halsall Engineering. Deborah Reynolds is dedicated to helping entrepreneurs reach their goals. Get established as an Expert! Create a lead generation tool! Tap into the best online and offline marketing strategies! Easily create and implement systems for your business! Maximize your database with low cost ongoing follow up! Use leverage in your business! Yes, Save Me A Seat At The Next Bootcamp! About Face Image Consulting Inc.
© 2018 Deborah Reynolds, About Face Image Consulting Inc.